Prior to founding the Levin Law Firm in April, 1998, David Levin served as law clerk to Hon. John L. Kane, U.S. District Court, District of Colorado from 1990-1991. After his clerkship, Mr. Levin became a member of the California State Bar and joined the San Francisco office of Morrison & Foerster where he worked in their litigation department. 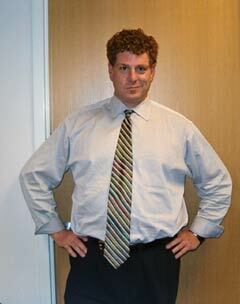 Mr. Levin relocated his practice to Palo Alto in 1993 where he practices law today. Mr. Levin graduated from the University of Chicago Law School with a J.D. in 1990. He received is undergraduate degree with honors from Northwestern University where he majored in English and philosophy. Mr. Levin also attended the University of Sussex in Brighton, England. David regularly volunteers his time to community and arts organizations. He has sat on the Board of Trustees for the Santa Clara County Bar Association; the Board of Directors for the San Jose Institute of Contemporary Art; and as the Chair of the Palo Alto Public Art Commission. Finally, David regularly contributes his services to the Jewish Community Center of Silicon Valley who honored him as their Volunteer of the Year for 1998.